Is there a bigger hit with children than There was an Old Lady Who Swallowed a Fly? 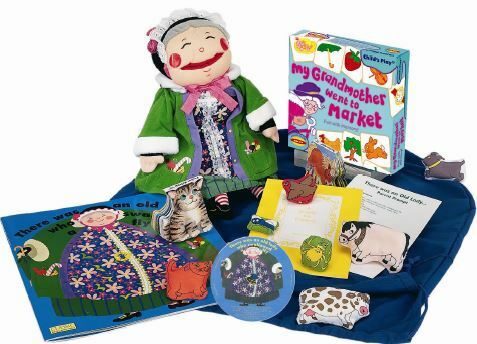 Now engage your children with an adorable Old Lady plush doll that actually swallows each of the 7 animals in the story! The colorful book with holes shows The Old Lady’s stomach as she swallows each animal is beautifully illustrated by Pam Adams. Pair all of this with an uproarious sing-a-long CD and you have a story time that children will remember.